The basic set up should be familiar to anyone who’s played these games before: you collect and manage resources, make money and use the said cash to build more structures on the island. The longer you play the game, the more Minions appear to help work on the buildings. The minions by the way, have some unique features that help you distinguish one from the other, nice. Because Minions make up your workforce, you will be able to complete several structures simultaneously. You have to wait for the Minions to finish, but having them work on several projects at the same time helps, and you use the same approach when it comes to gathering resources. All the stuff you collect here is for a reason and these can be combined, and the more you build, the more experience you gain. You also get the chance to assign special tasks and explore new areas on the island. 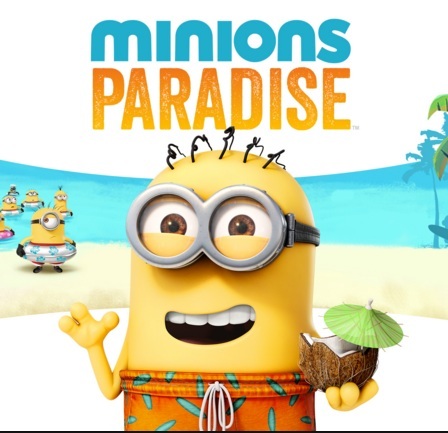 If you’re a fan of the Minions, you’re going to love this game. Apart from the gameplay, the sounds and visuals are faithful to the characters, so it feels like a genuine part of the franchise.